Katie Blake furniture is designed by Katie Blake and manufactured by Glencrest. It uses high grade materials, including rattan and aluminium, and has been designed for family use, as well as for commercial use. This combination means that the furniture not only looks great but is designed to withstand regular use and continue to look great even with minimal maintenance and care. There is a wide range of Katie Blake furniture available, including companion sets for two and family dining sets for as many as 8 people. Katie Blake furniture is that strong and durable that it comes with a 10 year guarantee and a lot of the furniture can be covered and left outdoors even during the winter months, although it is always recommended that you bring cushions indoors in order to prolong their life. 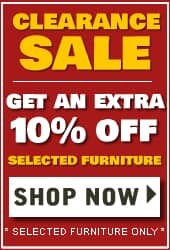 Garden Furniture World is the official garden furniture website of Dawson's Department Store. We stock a huge variety of brands from Katie Blake and other Glencrest brands, to Hartman, Kettler, Alexander Rose, and more. 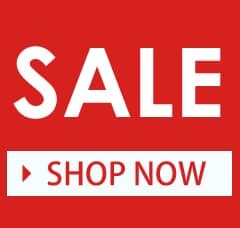 You can buy directly from the site, and enjoy free UK delivery on all orders over £50, or you can call in to see us and the homeware, linen, barbecues, and other items that we stock in the shop. Alternatively, if you have questions or queries about the products we sell, you can call and speak to one of the team, who are always happy and on hand to answer your call. The Katie Blake garden furniture brand was launched in 1981 by designer Katie Blake. It is designed with family in mind, which means that it not only looks amazing but is tough and durable, able to withstand the rigours of daily use by people of all ages, including little ones that aren't as careful with drinks and food. Today, there are several ranges of garden furniture that fall under the Katie Blake brand, and all of which are manufactured and distributed by Glencrest. Glencrest Seatex launched in 1981, manufacturing cushions for their own use. Soon, other companies contacted them about manufacturing on their behalf and for their own product line, and this led to rapid growth of the company. While the brand still specialises in the production of cushions, they do also have a range of garden furniture, especially under the Katie Blake marque. Whatever item you buy from the Katie Blake garden furniture range, you will enjoy products that are made from high grade materials that are chosen and manufactured to last for years. The aluminium frames are lightweight and strong, and will not rust even if they are left out in the winter. The rattan weave has been specially selected to withstand the weather and temperature conditions in the UK and the rest of Europe. Cushions meet all fire and safety requirements, while also being produced to offer comfort and luxury to all who use them. The 100% polyester cushions are finished in a showerproof coating, although you should never leave cushions outdoors, even if you cover them. 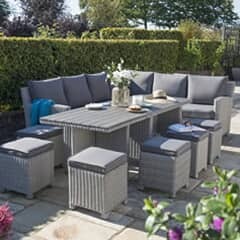 Katie Blake garden furniture is designed for use by families and for commercial purposes. 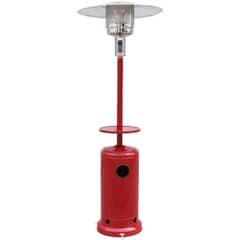 This means that it is designed to withstand regular and heavy use, without the need to have to keep cleaning and maintaining the furniture items. Rattan furniture does not require treatment, which means that you don't have to paint or varnish it at all, and if it gets dirty all you need to do is to hose it down or wipe it down with a damp cloth. You should bring cushions in when they're not being used, because even with the showerproof coating that has been applied, they will not be able to withstand the cold and wet conditions that we typically see here in the UK. All of the materials have also been chosen because they are not easily damaged. This is especially important to the consumer market, but is also vital to the family market, and for those families that have smaller children that don't necessarily know how to care for items of furniture. Katie Blake furniture comes in many different sizes and shapes, and you can choose from a wide and varied selection of garden furniture sets. Companion sets are made for two people. They have two seats that are joined with a small table in between them, and they are meant so that you and your partner can sit out and enjoy the weather and your garden with one another. They are convenient, romantic, and they look great in any garden. Other sets designed for two people include bistro sets. A bistro set includes a small table, designed to hold drinks for two people and also capable of being used as a small dining table for couples. Two seats, and cushions, are also included, and some bistro sets incorporate a parasol to keep the sun off the food and out of your eyes while you're trying to eat and relax. As well as garden furniture sets designed for two people, Katie Blake and Glencrest Seatex produce outdoor furniture for families and large groups of people. In a lot of properties, the outdoor space available is wasted. Not only do we suffer from short summer seasons in the UK, but we don't tend to utilise the space we do have even when the sun is shining. As well as sitting on the grass to soak up the rays, you can use the space more effectively and efficiently by including a high quality family dining set. All family dining sets include a table, which may be round or rectangular, and any number of seats from 4 to 8. Some sets include sofas, while others incorporate stools that can be used when you have extra guests. A lot of these sets do include a parasol, as well, and these are extremely functional and beneficial additions to an outdoor set because they can shield you, your food, and your guests from the glaring sun. Sofa sets combine the benefits of an outdoor dining set with those of a more relaxing seat set. Sofas are cosy and comfortable, and they also tend to take up less room than having individual chairs for every single person around the table. The Chatsworth Compact sofa set is a great example of convenient design. It includes a relatively small but ample sized table, along with a corner sofa that offers seating for 4 to 6 people. The set also includes two stools, which means that you can comfortably sit 6 people around the table, and you can expand this to eight people, should the need arise. In contrast, the Chatsworth six seater set has a round table, is complete with a parasol for shading the sun, and has 6 individual armchairs. If you do have the room, armchairs are a great option. They not only look good but they offer enhanced comfort thanks to the arms of the chairs.